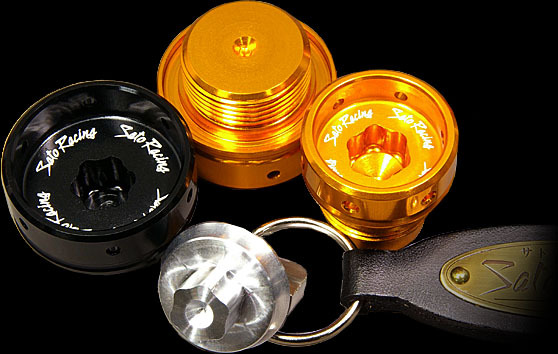 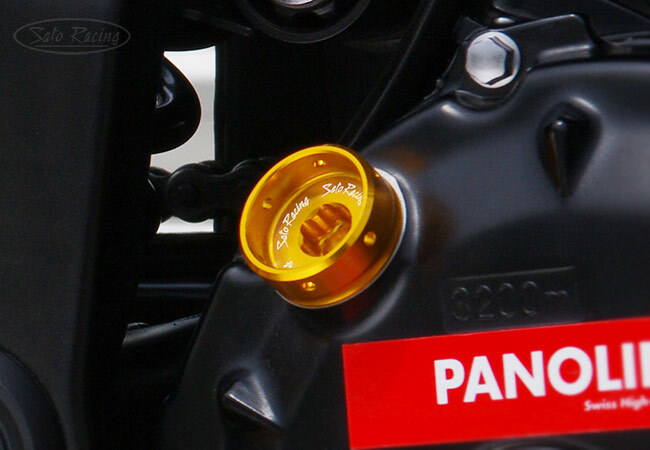 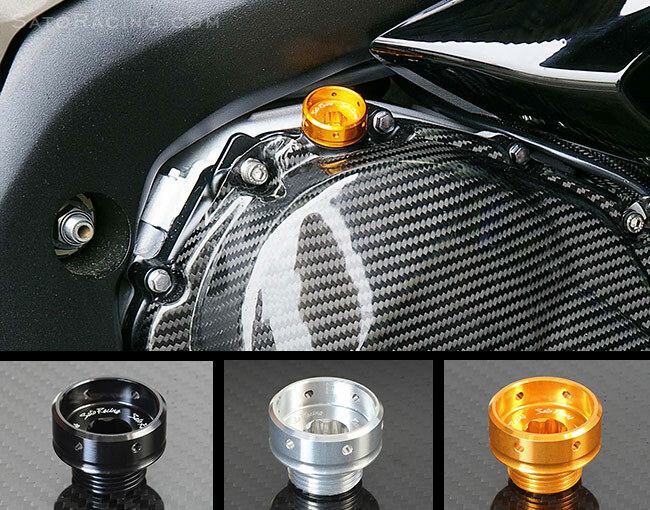 SATO RACING Oil Filler Cap for Suzuki is a Round-style filler cap (size: M20 x P-1.5), precision CNC-machined out of billet aluminum, with your choice of a Black, Silver or Gold anodized finish. 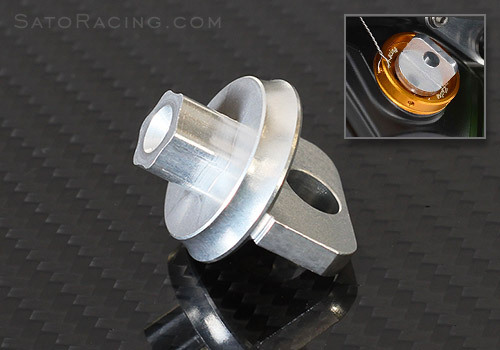 Features small holes all around the outer edge for looping a safety wire, and laser-etched 'Sato Racing' logo script around the inside. 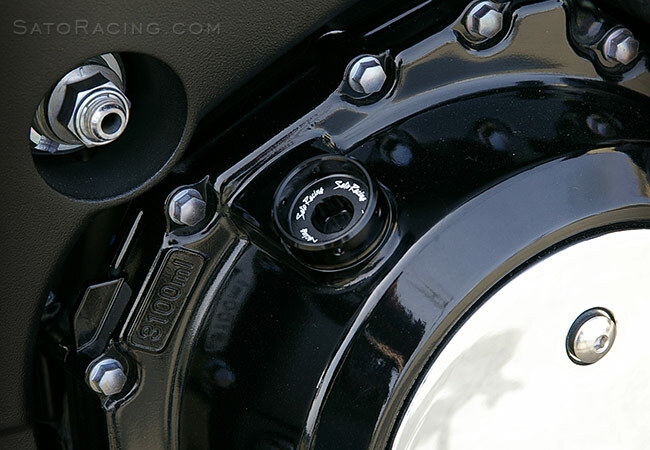 Fits most Suzuki models. 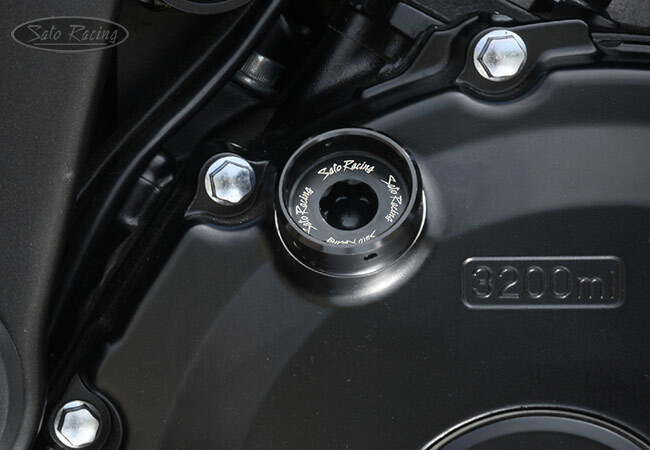 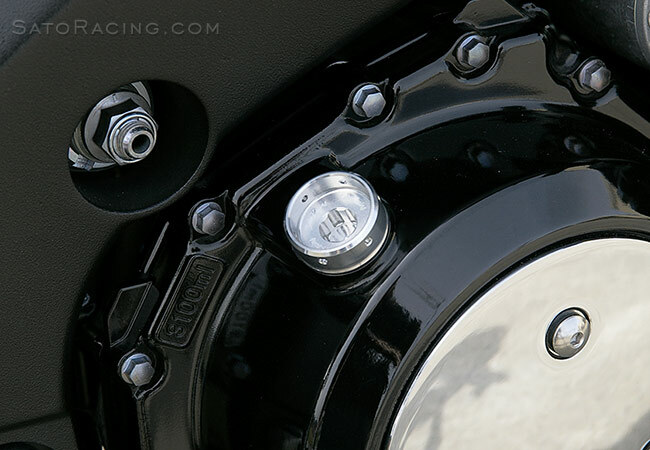 Options include a Quick Wrench specially designed for this Oil Cap, and a Titanium Locking Plate that fits behind a nearby bolt, and can be used to attach a safety wire to help keep the cap securely in place.